Inventory management encompasses all of the activities associated with ordering, storing, handling and issuing of blood products. Good inventory management is necessary to ensure appropriate utilisation of a precious resource. Not holding enough product can potentially put patients at risk or disrupt routine services. 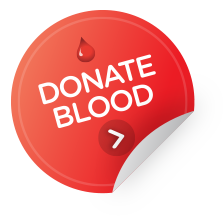 However, having too much inventory can deplete products held by the supplier to insufficient levels, increase the age of blood at transfusion and increase wastage. The National Stewardship Statement outlines the expectations Health Ministers’ have for health service providers in playing an important part in ensuring the safe and efficient receipt, storage and transport of blood and blood products; and that measures are taken to minimise wastage. The statement also recommends that health services have an ordering and receipting verification process (such as BloodNet) in order to provide adequate financial accountability as required by governments. These processes are also required by healthcare organisations under the National Safety and Quality Health Service (NSQHS) Standard 7 – Blood and Blood Products. Health service providers, the National Blood Authority (NBA) and manufacturers in the blood supply chain play an important role in understanding where blood and blood products are being held. 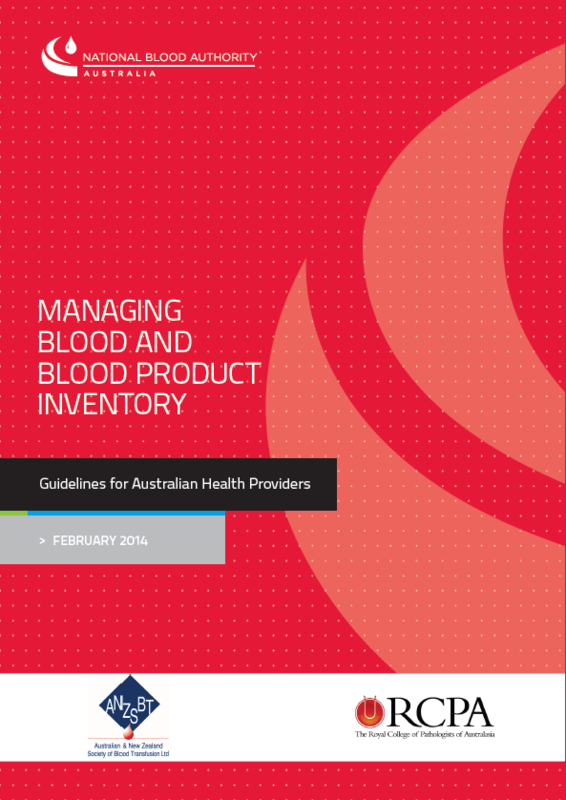 This total picture of national inventory of blood and blood products is important to ensure that products are held in the most appropriate place to ensure they can be provided to health services to meet clinical need. BloodNet is a system that allows health service providers to enter their inventory levels, and assists in building up the picture of national inventory. 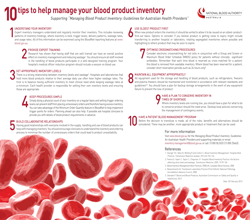 The Australian Red Cross Blood Service (Blood Service) produces a National Inventory Template relating to fresh blood products held at the Blood Service and health service providers, which is distributed to health service providers who receive blood and blood products. In addition, there is reporting on inventory available through BloodNet.